keypad and two channels optotriac. with optotriac. It can drive the resistive AC load directly. Figure 1: The prototype of Time Switch V1.0. Figure 2: Complete schematic of Time Switch V1.0. supply is made by zener diode. 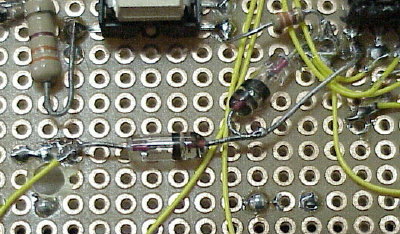 Figure 3: Simple diode switch for battery backup. The firmware is timer interrupt driven with fixed interval 10ms. second and compare time every minute. colon between HOUR and MIN to blink every second. between ':' and ' '. will execute every 200ms (20x10ms). 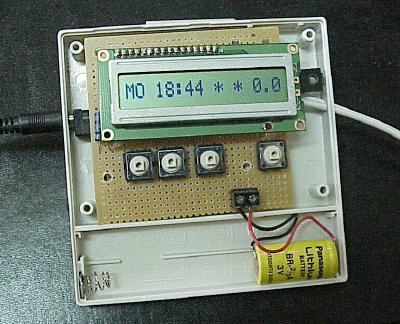 MODE 0: Set current time with HOUR and MIN keys. MODE 1: Set current day from MON - SUN with HOUR key. MODE 4: Display program from 0-4 by key HOUR. manually in MODE2, display scheduler in MODE 4. 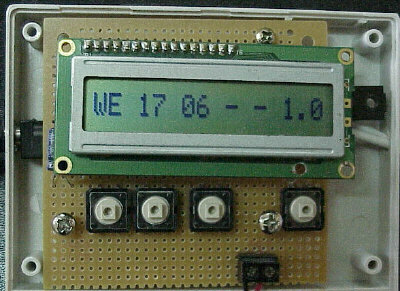 Figure 4: Keypad and LCD display. RTC.C : source code and RTC.S19 the Motorola s19 record. timeswitch1.pdf : Quick Start Guide.